What’s this I see? 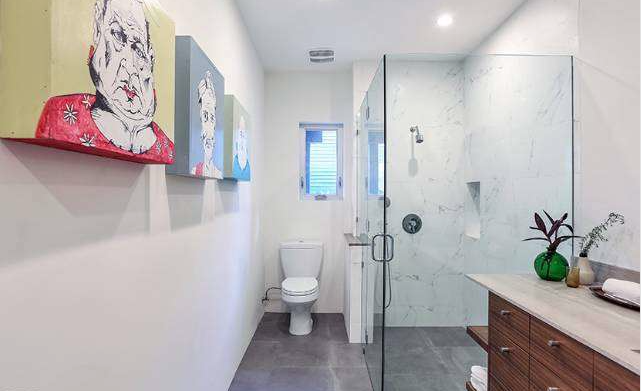 Yet another home for sale on Vestal Avenue? Must be something in the air (a Seller’s market mayhaps?). Regardless, it’s certainly one happening street, possibly less so after that sentence. 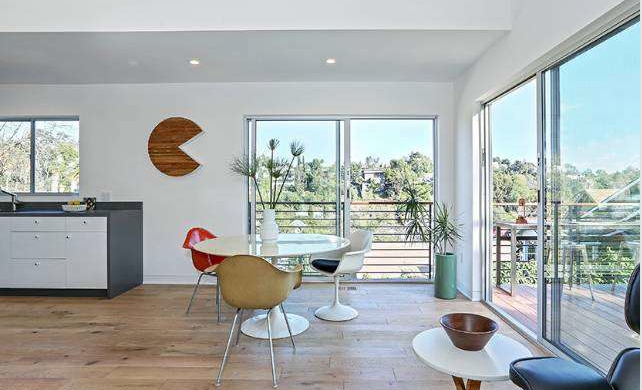 From the look of this ultra contemporary Elysian Heights home, you’d never guess that it was originally built in 1924, though you’d he hard-pressed finding an original bone in this now thoroughly modern dwelling. 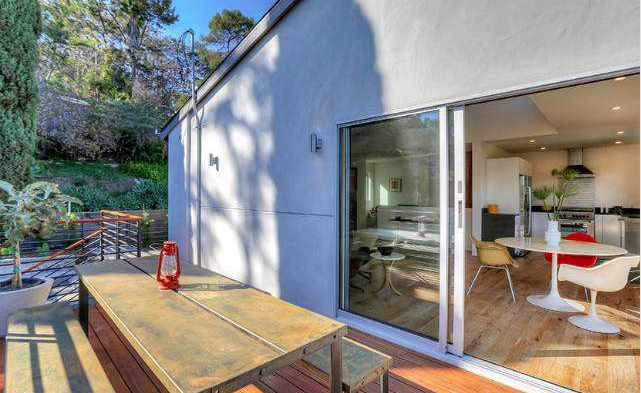 With an asking price of $899,000, there is a very good chance this 3 bedroom, 3 bath home could close closer to, or slightly beyond a million, and it’s plain to see just where all the money was spent for this rebuild (well maybe not the foundation — which is also new). 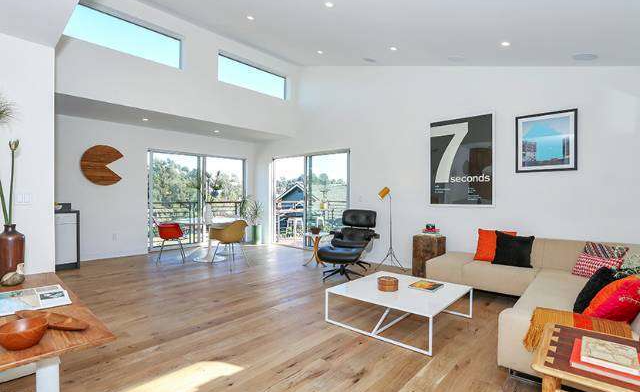 The main floor is spacious and bright thanks to vaulted ceilings and clerestory windows. The two Fleetwood sliding glass doors by the dining area give you canyon views, though — if you’re overcome by the need to be closer to nature — you can always take a stroll out to the large mahogany deck. 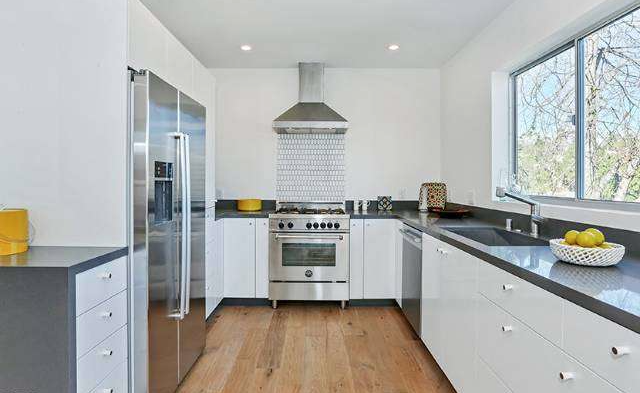 The kitchen is awash with state-of-the-art stainless steel everything, along with sleek white cabinetry and grey quartz countertops, but it’s thankfully offset by the bright hardwood flooring (wide plank French oak, fancy!) throughout. 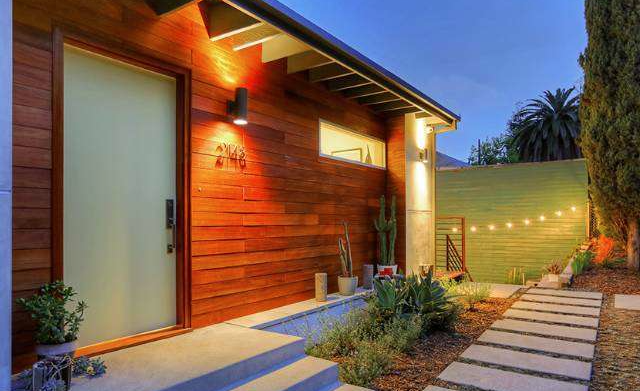 For those swayed by luxury goods, the designer finishes sure impress: a Bertazzoni gas range; a Bosch fridge and dishwasher; Ann Sacks tile mixed with Porcelanosa in the kitchen and baths; and that ubiquitous Nest thermostat. 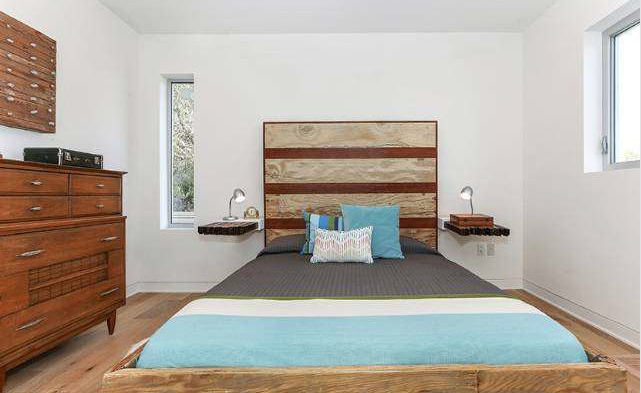 The guest bedrooms and bath are equally cutting-edge in their simplicity. 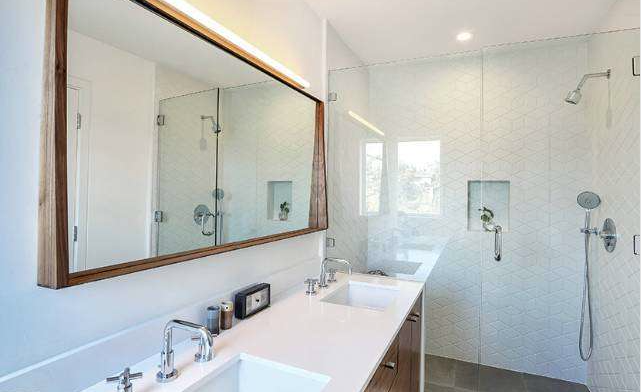 The custom-made walnut mirror and cabinets sure look amazing against that stark white Escher-like tile. 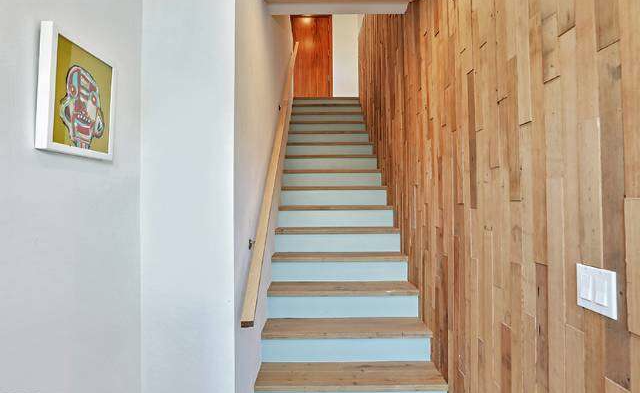 As you head downstairs to the master quarters and bonus office/studio, be sure to take note of the wood strewn wall feature, as these Douglas Fir planks were re-purposed from the home’s original flooring. 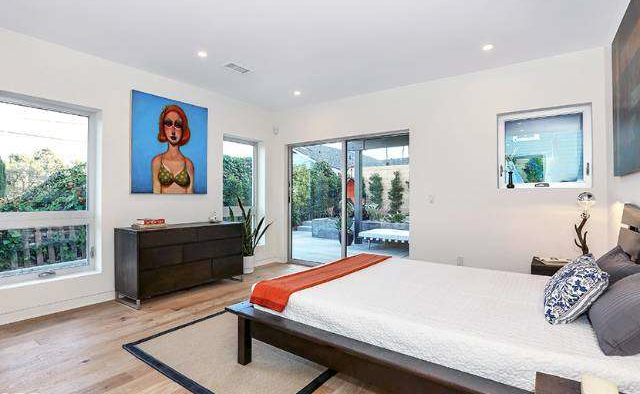 The master bedroom is roomy with its own sliding door, which leads out to a quaint yard, complete with concrete pavers and drought-resistant plants. 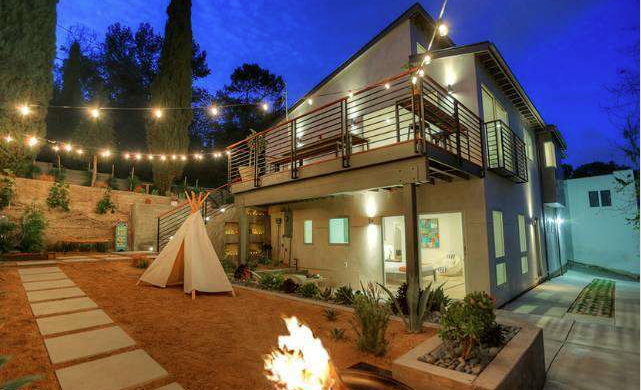 This is a beautiful home on what is quickly becoming a very sought-after street. Expect it to go into multiples. Marcus McInerney of Adaptive Realty Inc. has the listing.